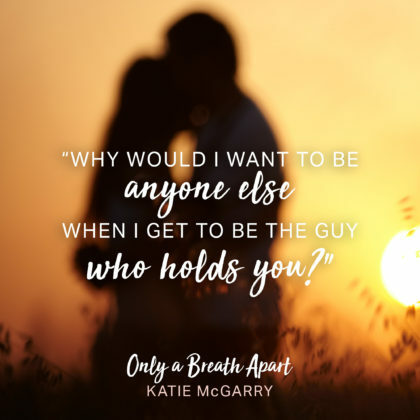 celindareyesblog January 10, 2019 No Comments on Excerpt Reveal: Katie McGarry’s new YA contemporary romance ‘Only A Breath Apart’. Category: Excerpt Reveal. Tagged: 2019, amazing, book, contemporary, fun, Goodreads, instagram, Katie McGarry, new, only a breath apart, powerful, Release, romance, twitter, YA, young adult. Hello people of the internet!!! On today’s ‘Monday Memos’ we’re going to talk about a book called ‘Sky’ by Australian author Ondine Sherman. This book was provided for review by ‘The Author People’, and was released on June 27th, 2017. Ondine Sherman holds a BA in Communications from The University of Technology, Sydney & an MA in Environmental Education from Macquarie University. She is an Ambassador for ‘Action for Dolphins’ & Director of Conservation for ‘This is My Earth (TIME)’. She has been nominated for several awards including: ‘Australia’s top 10 Community Leaders’ by News Limited & Microsoft’ & Cosmopolitan’s ‘Fun, Fearless, Female’ Award in 2012. Ondine previously released a memoir entitled ‘The Miracle of Love’ in 2013, in which she discusses her experiences parenting twin sons with a rare genetic disorder. So now that you know all about Ondine, let’s discuss ‘Sky’. In full disclosure this will be a spoiler free review. Ready? Ok, let’s go!!! 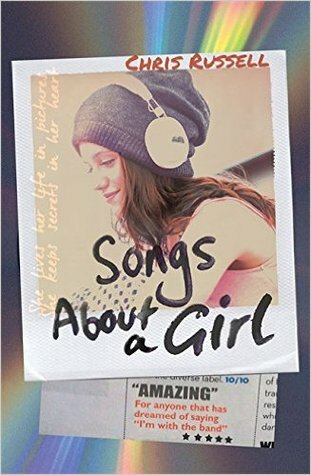 This is a young adult novel about a 16 year old girl named Sky, who moves from Sydney to the countryside with her aunt Paula & uncle Dave after her mother passes away from cancer. Sky feels out of place in her new surroundings due to the fact that she doesn’t have a close relationship with her aunt, doesn’t know anyone else in town, is starting out at a new school close to the end of the school year, and is a passionate vegan. Once at school Sky decides that she wants to be popular so she decides to hide her veganism to accomplish this. Sky’s teacher tells her about a contest that the other kids are participating in with a cash prize of $200, so Sky decides to do her project on Chickens, in hopes that she’ll win the contest so she can buy a fancy dress to wear to her school’s year end gala in order to fit in with her friends. 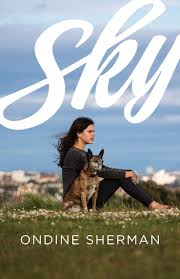 Sky soon adopts a dog named Bella and through a dog training class at a local park Sky begins to connect with an attractive classmate named Oliver (who the lead popular girl Marissa also likes). Sky decides to interview the owner of a local chicken farm for her project, and is horrified when she sees how badly the chickens are treated. This sets Sky on a path that will force her to pick between the new life she is trying to build for herself and the ethics she was raised with. So now we’ve reached the review part of this post, and I will say that there are some things about this book that I liked and some things that could’ve been better. Firstly I did like the veganism premise of the book because it was interesting and informative. I also really liked Sky’s aunt & uncle because they were kind, loving, and extremely patient with Sky throughout the book. Lastly, Oliver & Lucy (a girl that Sky befriends later in the book), fit into their roles of love interest and eccentric friend well, but the author really does a good job of humanizing mean girl Marissa into a character you can understand. However although ‘Sky’ offers a lot of good things, the most glaring issue with this book lies with the character of Sky herself. Although Sky is young and obviously dealing with her mother’s death, she makes some questionable decisions throughout the book that make her unlikeable & unrelatable . She’s also very cruel to her aunt & uncle, but still expects them to help her and doesn’t apologize to them until the end of the book. Speaking of the end of the book, ‘Sky’ ends with a really sweet scene, but then an epilogue is added at the end that literally ends with the sentences “I stare at the tickets hoping that an answer will magically appear. What should I do?”. This is my least favorite type of open-ended conclusion. Now let me say that I don’t mind open-ended conclusions, but I also don’t like when an author leaves us without a real ending so the possibly of a sequel is higher (an example is the way 13 Reasons Why season 1 ended). It is perfectly possible to have an open-ended conclusion that leaves the foundation for a sequel, but also gives the reader a satisfying ending, and unfortunately ‘Sky’ failed to do this. There are so many other things that could have been improved on in this book (the epilogue alone has a few more issues), but I can’t really discuss that because I don’t want to get into spoilers. Unfortunately I do have to give ‘Sky’ a 1 out of 5 smiley faces because it had so much potential, but could never quite live up to my expectations of it. All photos and information used in this blog belong to Ondine Sherman, ondinesherman.com, twitter, instagram, facebook, The Author People, all companies, individuals, corporations, managers, writers, producers, authors, publishers, and/or businesses that should receive credit for any book(s), mentioned in this blog post, all of the and all companies, individuals, corporations, managers, writers, producers, and/or businesses that should receive credit for anything mentioned in this blog post, and all original owners. I do not own anything in this blog. If any people, corporations, businesses, companies, etc, were not previously given credit for their work, they are given credit now and their previous absence was unintentional. All opinions expressed in this blog are my own. I wrote this blog for entertainment purposes and no copyright infringement is intended. celindareyesblog July 16, 2018 No Comments on Monday Memos: Book Review of ‘Sky’ by Ondine Sherman. Category: Book Reviews, Monday Memos. Tagged: 2018, facebook, instagram, new, Ondine Sherman, ondinesherman.com, Release, The Author People, twitter, young adult.